When the fiercely-independent, renegade music journalist and publisher John Conquest passed away on September 30th, it left the fate of numerous important institutions Conquest had both founded and operated up in the air. Conquest was a dogged champion of independent artists, as well as independent music journalism, and honesty in criticism. His 3rd Coast Music periodical was disseminated in newsletter form via PDF, and was seen as an invaluable asset to many of his subscribers, including numerous Americana and underground roots DJ’s, other journalists, labels, managers, and involved and influential music fans. It also ran ads for artists, independent labels, and small businesses associated with the music. 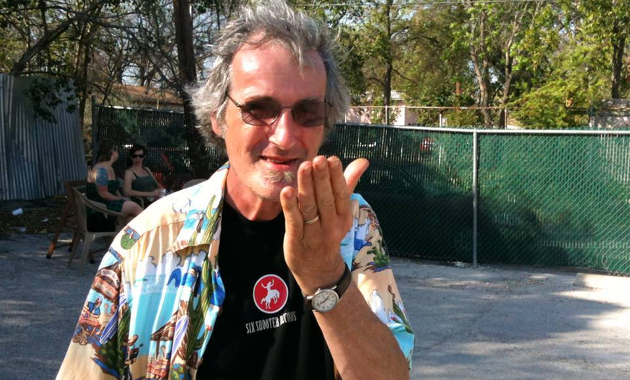 Two of John Conquest’s biggest efforts were the monthly FAR Chart (short for Freeform American Roots) published each month in 3rd Coast Music, and his NotSXSW events held as alternative, unsanctioned South by Southwest functions every March in Austin, TX. After Conquest’s death, the worry was these institutions would not be moving forward after years of being invaluable to the roots community. However James “Jimmy” Samon Jr., who is the proprietor of Austin’s G&S Lounge where Conquest held his NotSXSW events, is attempting to step up to keep both NotSXSW and the FAR Chart going. Unfortunately the master list of the DJ’s who reported to the FAR Chart, as well as the subscriber list to 3rd Coast Music, was not saved or shared with Samon after Conquest’s death, and so he is trying to create a new list to keep the chart going. Samon was able to publish a chart for November (see below), but it still only has a limited number of the original reporting DJ’s participating, and he doesn’t have all the email addresses of the 3rd Coast subscribers. So folks are being asked to reach out to Samon if they either want to report for the chart, or receive the chart at gsamon@austin.rr.com . Though the FAR Chart was primarily made up of DJ’s, it wasn’t made up of actual radio spins of artists or songs. Rather, it worked off a points system. Reporting DJ’s would rate roots albums via points, and then those points would get aggregated into chart positions. James Samon plans to continue the chart using the same formula, and include reviews and other information submitted by DJ’s so it continues with the same feel as Conquest’s 3rd Coast Music. As for the NotSXSW event, Jimmy Samon is keeping that going at his G&S Lounge as well. “It’s going to be Wednesday through Sunday like it was before. I’ve got most of the artists who’ve played before, but if I missed someone, they can email me. I’ve gotten 67 already,” he says. NotSXSW during some year was held at different locations, but the most recent other location aside from the G&S Lounge recently shut down. Saving Country Music is planning to post the FAR Chart online for those not subscribed to the newsletter, at least until the subscriber base builds back up, and the reporting DJ’s are made aware of the new regime. At the moment, the chart may look a little wonky due to the low reporting numbers (including the big tie for #13). The initials beside each entry are for the reporting DJ’s. Good to see the chart back. I’m not surprised to see NRBQ top the chart, as High Noon is quite a collection. I hope we see FAR DJs from the past rejoin the group, if they haven’t yet. Thanks to you, Trigger, for posting the chart here.